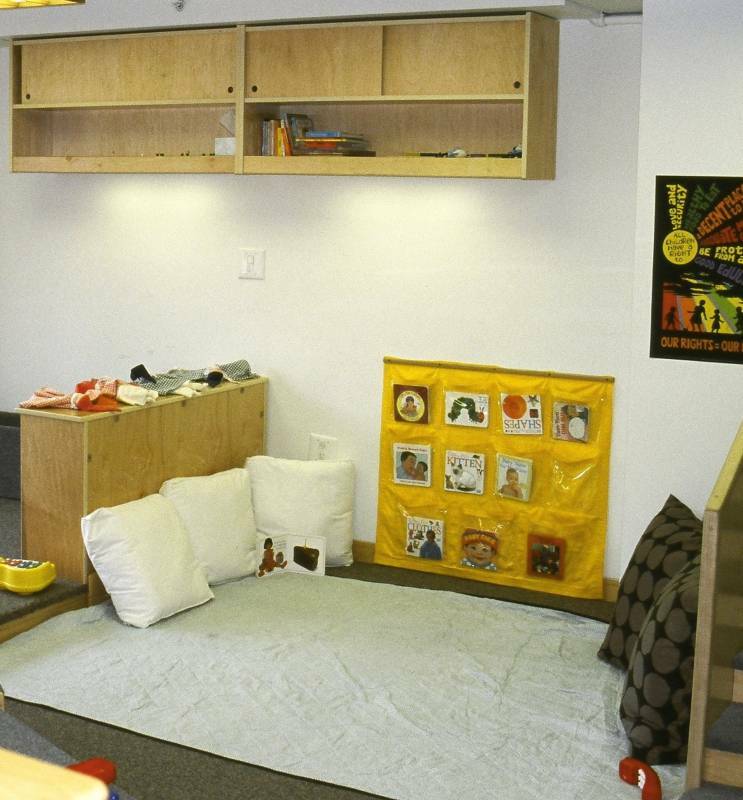 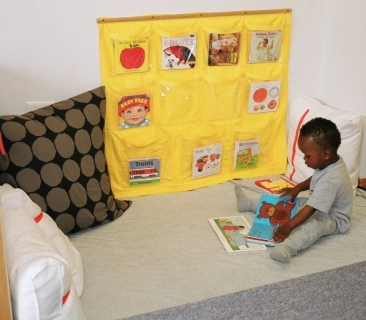 Heavy-duty, sunbrella fabric and vinyl book holders are ideal for infant and toddler classrooms. They add softness to the environment and do not take up any space! 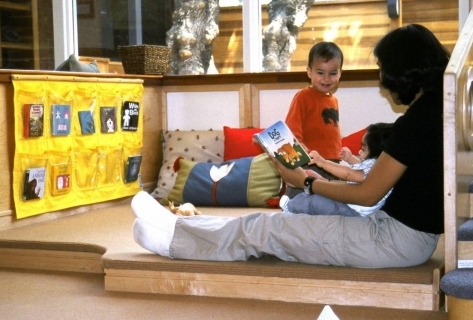 In addition to books, they can be used for small toys (teething rings) and dramatic play props.